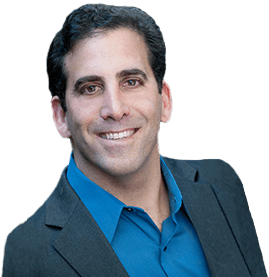 Joel has helped many successful clients figure out how to do a successful job search, find a fulfilling career and get paid what they deserve. He can do the same for you. Read his client testimonials below. Joel has been a tremendous help to me in sorting through the complexities of career management and job searching at the executive level. What I like best is his personalized approach: he listens very carefully to what is needed and then provides advice and information that will address a particular issue or challenge. He provides a source of accountability that is so critical in moving things forward. He also makes himself available between sessions for questions or clarifications. I recommend him wholeheartedly. I’d seen Joel’s review on Yelp and his website and he was at the top of my list to reach out to for support. I had get my resume ready in a matter of days and, after getting invited to an interview, had to prep for the interview within a few days as well.Joel provided very insightful feedback on how to strengthen my resume based upon best practices in the career coaching industry and based upon my own strengths as a job candidate. For the two rounds of interviews, he provided a clear approach to take and a curated set of articles to use in my prep. Thanks to his help, I nailed the interviews and got an offer the same day as the final interview! I’m so thankful to Joel for his responsive and insightful support over this very stressful few weeks. It helped me to focus my time on the preparation that mattered most and was crucial to my being the top candidate for the job. 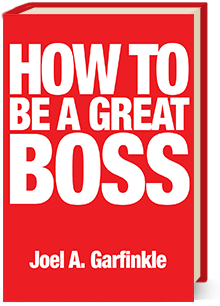 Joel’s advice and guidance were very important to the development and polishing of my resume, “elevator speech” and interview skills. He also provided extensive information on networking techniques, interview preparation and a variety of subjects. His comments and recommendations were always candid, supportive and on-target. Joel has a clear idea of what is required to make a strong impression in today’s job market. I highly recommend Joel’s services. If you are looking for a job, Joel is your man. He coached me, and the difference between my “before” and “after” resumes was stunning. I popped my after resume into an online job application one Monday, and a recruiter contacted me the following Wednesday saying it had stood out as top-of-the-heap from hundreds. Another recruiting director said that when she saw my resume, “The angels danced on my shoulders”: that it was crisp, clean and powerful – one of the best she’d seen in a long time.His tips on how to prepare for the interviews were brilliant – from suggestions on how best to respond to typical and atypical questions, to insightful ways to reframe interviewer questions to get from them the information you need to respond with what they want, to a method for selecting and delivering compelling career stories showcasing your talent. I recommend him to others with the highest praise. Joel understands two things at a deep level: 1) The way you can make your career our own and 2) the hidden side of the hiring and HR part of organization. Having Joel in my corner was amazing. With his council, I created a solid roadmap for my career, negotiated a great salary (with a bonus! ), and I’m now at a new firm, in a position I’m very excited about.Joel was clear, responsive, insightful, and most of all, kind and funny. I can’t recommend Joel enough. I found myself competing against 100+ people for this single position. After revamping my resume and cover letter with Joel’s guidance, I actually landed an interview. Out of the 100+ applicants, the field was narrowed down to the top six candidates. I was one of them!At this point in the process, Joel began preparing me for the all day interview. He sent me many documents to help me prepare for a variety of questions, how best to present myself and to know my “real life stories” that would convey to my potential employer why I was the most qualified for this coveted position. He tested me, prepped me, motivated me, and educated me. I was so ready for my interview that when I arrived on campus for the big day, I felt strong and confident. One week later, i received the job offer! I can confidently say It was because of my work with Joel that i had achieved success. I was over the moon with excitement! I am forever indebted to Joel for this very positive and satisfying experience, and will sing his praises to anyone willing to listen. Joel is an excellent job coach who guides you through every stage of the job search. Building a resume that speaks for you and your accomplishments, getting started with and maintaining a professional network, thorough preparation for job interviews. With every one of these challenges Joel gives you insight and guidance on how to be successful at it. His constant feedback makes it sure that you stay focused and on the right track. I worked with Joel for almost 2 months. During that time he gave me the confidence and skills I needed to get the job I have always wanted. Joel helped me prepare for interviews. His insight and system for interviewing helped me kill my interview. I would highly recommend Joel to anyone who feels lost in their job searching or could just use a boost you won’t be disappointed. Joel was great! He brought my resume up to par from six pages to two with clear and specific guidance. His straightforward approach and his homing skills for what is important are really good. I will continue to work with Joel and highly recommended him. There are a handful of people who have made big impacts on my life, and Joel is one of them. Ten years ago, I was a worldwide marketing manager for a large software firm in Silicon Valley. Now I consult in Personal Productivity, enabling others to get their email to zero and keep it there.Joel’s dream job coaching process has made a huge impact on my life. I learned so much about myself: what I valued, what my gifts are, what environments I thrive in, what I am truly passionate about, and what types of work activities that bring me joy. When I got scared or stuck, I emailed Joel. We had coaching sessions weekly, addressing my concerns, fears, and discoveries. He kept me focused and I saw progress weekly! The week I finally narrowed down my dream jobs is was thrilling! I am forever changed from this process, and I have Joel to thank for that. It was the best investment in myself that I have ever made- and one that will yield happiness and joy for years to come. I cannot recommend Joel highly enough! When we first started working together, Joel asked me “What are you passionate about?”. I remember saying “nothing”. That was the problem. Joel was able to pull out of me what my passions were – organization, problem solving, empathy, and curiosity. Then we had to figure out what jobs used those skills. Somewhat sadly, this is not the approach that other advisers had used with me for years. They concentrated on the skills that I had learned to make money, not the gifts that I was born with. And yes, I needed the job to be income producing. I was able to replace my income in 2 years – beginning at $0 – and starting my own business.I absolutely love my job. I feel lucky to enable others to rise to their personal and professional best for a living. Joel helped me make a career change to start my own interior design business. I have been extremely successful and just completed my 6th profitable year and I am now designing 10-13K sq ft custom homes and commercial properties. Joel has created a systematic way to discover and find the work that fully resonates with your truest passion. He is passionate about his work, and is wholeheartedly committed to and completely enlivened by the opportunity for others to work with their own passions, talents and gifts. Joel was on of the best investments I’ve ever made in myself and my life. After 15 years working as a physician I was burnt out and terribly unhappy. What had started as an incredibly satisfying career had morphed into a life I couldn’t imagine continuing. Unsure what to do, I found Joel and began his dream job process. His organized, calm and insightful approach helped me to discover more about myself, how things turned sour for me, and what I needed from a career to be truly happy. With the aid of Joel’s wisdom, I successfully made the biggest transition of my life’s work, to my calling. I now wake up each day excited to get to my dream job. I’m happier and more satisfied not only with my career, but with how that career fits so well into my life. I can’t recommend him strongly enough. Working through the Dream Job Coaching process has been one of the most valuable experiences I have ever done. Joel’s never-wavering support and understanding really helped me to see my abilities and my dreams clearly. The process makes you really dig deep and look at your dreams. Joel really believes in the unique gifts of each of his clients and that belief is contagious and inspiring. I and feel that it’s some of the best money I could ever spend. Joel’s Dream Job process gave me the chance to deeply reflect on and explore my past and future in ways that I simply wouldn’t without his experience and guidance. This was not only incredibly helpful — it was enjoyable. Joel not only helped me identify my Dream Job, his process was so thorough and deep that it gave me total confidence that I had made the right choice. In the two and a half years since I worked with him, this has been the greatest gift. I still look back on the writing I did while working with him for inspiration. This process ”holds your hand” through every phase, gently encouraging you to move forward — one step at a time — on your path to discovering your dream job. Joel’s Dream Job Coaching program has been the best thing I have ever done for myself, professionally. The most valuable contributions of his coaching has been the visceral reminder of my capacity to change the world by what I do. It was the best money I ever spent, and my suspicion is that you will find the same. Joel was highly recommended by another client. During our first call, he communicated a depth of understanding and compassion that none of the other coaches did. With Joel’s guidance I overcame a lot of internal doubt and fear to find my dream job. I am now applying to school to get a Bachelor in Fine Arts for Interior Architecture and Design. Having Joel as my coach was key to stepping out of my fears and doubts. I couldn’t have asked for a better person to lead me through the career discovery process. Working with Joel one on one and going thru the dream job process, I immediately started getting the clarity to work thru and understand my personal issues that were holding me back from living a fulfilled life. His no nonsense approach and caring attitude pushed me to dig deep and discover a passion that lay inside my heart since I was a little boy. Between Joel’s coaching and him holding me accountable, it allowed me to look internally and discover my true gifts that has always been there and to pursue my dream job of becoming a high school basketball coach with courage and excitement. Joel has given me the tools and guidance to determine dream job requirements, the strategy to obtain my dream job and the framework to succeed on the job. Additionally, working with Joel and using his tools have helped me improve my personal life.I would highly recommend working with Joel for anyone looking for a dream job and personal well being! Joel helped me arrange my life so I could gain the greatest degree of satisfaction, meaning and fulfillment. From his coaching, I have determined what is most important and have gone after it. My biggest challenge was getting clear on what kind of work I wanted to do moving forward. Working with Joel helped me to see that there was a whole realm of possibilities for me to discover and that my choice needed to come from my heart and not my practical head. He was able to help me clarify my thoughts on what was really important to me in a career. Joel provided exceptional career and job search coaching. He communicated very clearly and listened well. I felt that Joel helped me with direct and clear advice. He outlines a program with small steps that lead to bigger accomplishments. I thought his program was comprehensive, from evaluation of the big picture goals to help with executing the steps in the process. Efficient, responsive and productive. I recommend Joel highly. Joel is insightful, listens well and is extremely experienced and knowledgeable. 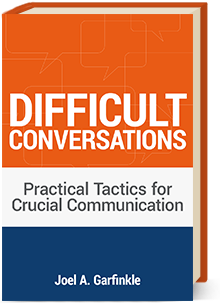 On a number of occasions I thought I had a situation covered (such as compensation negotiations), but Joel was able to provide me with advice which I found very helpful and useful and which I was able to apply right away in a negotiation. I find Joel’s ability to predict situations that may come up and coach me on them to be invaluable. Joel asked me the hard questions, pushed me to stay true to myself, listened attentively, and guided me along the way. He is truly skilled, caring, and sensitive. I enjoyed the dream job process immensely. Joel’s passion for his work is evident in the caring and responsible way in which he assists those in need. 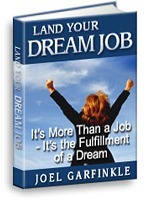 I recommend Joel Garfinkle and the services he provides through Dream Job Coaching without reservation. Joel inspired, prodded, and challenged me to face my fears and patterns and supported me in overcoming them. He is both no-nonsense and emotionally perceptive, which is a great asset when you’re exploring such fraught territory. Joel is excellent and a pro at what he does and it shows in his work and attitude. Joel makes himself available outside the defined coaching sessions and treats you like a partner. Most people in his profession don’t take this approach and the extra effort Joel puts in really sets him apart. The knowledge you will gain from him is invaluable and it will help you in the short and long run. Joel is always prepared and very responsive. It’s almost like having a coach 24 hours a day! And he isn’t afraid to tell you the truth. I look forward to working again with Joel. It’s not just your analysis and insight that are so valuable. In my case, it was also the human support, encouragement, and optimism tempered with practicality, that was just what I needed. 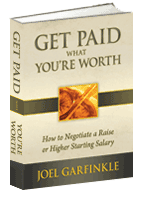 Joel Garfinkle provided me with inspiration, support, wisdom and a fierce vision for my professional goals. I grew through his support and encouragement. He gave me the strength and will to push forward through difficult times. He is pure in heart, clarity and focus and has compassion for the human condition and spirit. He is relentless in energy, passion and drive. Without fail, Joel helps me to get very clear on what steps I might take to clear obstacles from my life. His ability to cut through the emotion and get to the solution has been valuable to me. Joel is a good listener and very focused. He challenges me to alternatives beyond my comfort zone while providing the support and encouragement to go forward. The results I have gained from his coaching are that I am clear what I want and I am energized through the action steps I take. Joel has a unique ability to find the positive in almost any situation, to refocus and to inspire people to reach within themselves to achieve their goals.